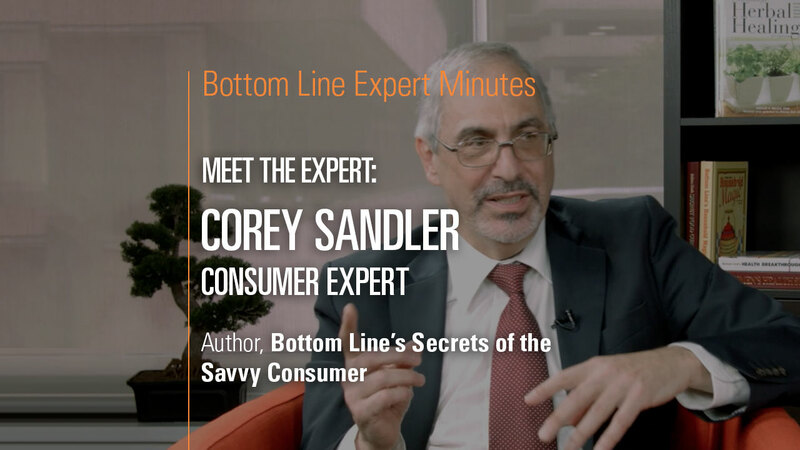 In this video, Bottom Line Inc. President Sarah Hiner introduces Corey Sandler, consumer expert and author of Bottom Line’s Secrets of the Savvy Consumer. Despite his knowledge on the subjects of saving money and getting the best deal, Mr. Sandler considers himself a journalist rather than a consumer advocate—and that’s because he has always loved researching, writing and learning. Mr. Sandler’s work has revolved around consumer advocacy issues. His goal is to live beyond his means without going into debt.